I really like the way Apple did this iPod Touch ad. I couldn’t see it when I went to http://games.yahoo.com/, I assume I need to be running Windows? I tried Safari and Firefox. Here’s the direct link. 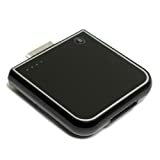 I found this at MacRumors. 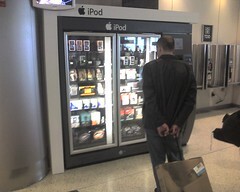 So if you buy one of these at the airport is there any music on it? Is it even fully charged? So I saw this preview for Trism a few months ago, it looks like a cool game and shows where some games are going with motion sensors in the game unit itself. Looks like a fun smart thinking game, I’d probably buy it if I had an iPhone or iPod Touch, it’s only $4.99. So I’ve seen these Aiptek HD 720p Video Cameras around and they’ve had it at my local Target for $149 (it’s only $135 at Amazon), I figured if it was awful I could return it for their 15% restocking fee. Actually, I’m now thinking it’s my new camera to keep in my bag at all times. 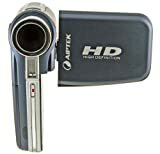 720p HD video camera (which records to an SD chip) which is 1280×720. and also records from a video source (haven’t tried this yet, but have read it looks great). Quality is great but if you move the camera too quick it could compress a little better. But for the price it’s awesome and it’s better than I would have expected. It’s got a record button on the front (where your trigger finger goes) and a record button on the LCD screen. On the back is a button for taking a snapshot at any time (other than when actually recording). Other features: It’s got a standard tripod mount and comes with a charger (but also charges off the included USB cable), lens cap, carry strap, standard video cables and component cables. It’s smart enough when you flip the LCD screen to flip the video image for self recording. Complaints: it sure could use image stabilization and audio-in for a microphone would be nice but I wouldn’t expect anything like that in a lower end product like this. Other things: I’ve only played with it a little bit but the imaging looks a little better when moving the camera quickly in the lower quality modes (720×480 and 352×240). It looks like it has an IR receiver in the front (where your hand would be) but I don’t know if that’s what it is. So on the left is my buddy Mark, I think I’ve been on four vacations with him and I think this is only the second picture of us at a destination. I’m pretty sure this is in Manzanillo, Costa Rica on the Pacific side of the Nicoya Peninsula (if not, it’s pretty close to there); it’s the fourth town from the southern tip. I used my cool new QuikPod to take the picture. Last time we got Carla the waitress to take the picture; it was in a little bar in Jaco that doesn’t exist any more. Since there was no one else around, QuikPod to the rescue. 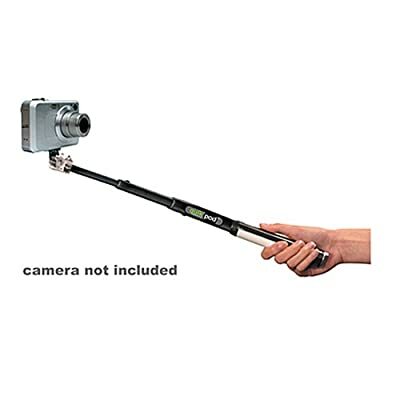 It’s a kind of a stick with a tripod mount and a little mirror so you can take pictures of yourself. This is great, it looks like Apple has semi-extended movie rental time limits. I say “semi” because once the 24 hour time limit passes you cannot go back to the beginning of the rental, but you can resume where you left off. This makes me very happy because I’ve thought the 24 hour was just too short. My thought from a few weeks ago was “Maybe they can do something to cripple it, maybe after 24 hours any viewed portion is not viewable any more”. It seems (at least on an iPod) that you can’t leave and do something else and still have it resume when you come back (“delete” or “resume” are your choices) your iPod is “stuck” on that screen. Maybe they’ll do it a little different on AppleTV or iTunes…? I think the new AppleTV software was supposed to roll out last week so it should be appearing soon. 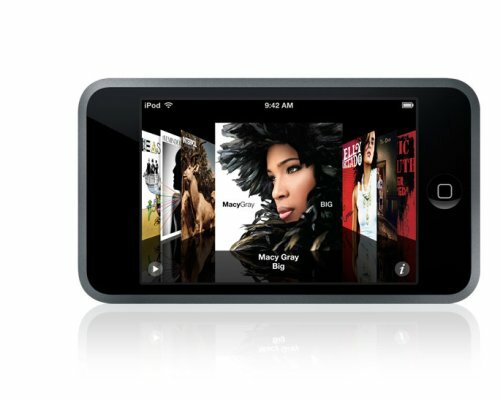 iPod touch – Basically an iPhone without the phone. It’s got the WiFi browser and you’ll now be able to buy directly from the iTunes store from the phone. iPod Nano – Totally new shape to accommodate a new larger screen so you can watch movies and video! Available in 4 or 8 GB sizes. Classic iPod – The same but up to 160 GB of music a video (also in 80 GB). Please note – Some of the features and items aren’t ready yet, but I think all are supposed to be by the end of the month. So I’m at McDonald’s and I want my regular order, a number 3 combo (Quarter Ponder, Fries, Soda); so I order a “number 3, no pickle, no mustard” slow and articulated but as usual they have to ask me again what it is that I want. I don’t understand how they don’t get it the first time, it’s a limited selection of items that I can order even if I slur my voice someone should be able to figure it out, it’s not like I ordered an iPod with a side of onion rings. But that’s actually not my complaint today, she did get it correct and processed that part of the order quickly and accurately. So they hand me my order, while the QP box has the “no pickle, No mustard” tag on it there is an excessive amount of mustard on the box which lets me know to check before I bite. Sure enough there’s mustard on it (maybe pickle too). So I sent it back. Minutes later I get another one, with pickle and mustard. So I send it back, it’s easily 5 minutes more until I get a correct sandwich. They did give me fresh fries (the first order was better than delicious) and offer me a pie (but they didn’t have apple so I passed). They handed the final order to me in a togo bag, was that a hint? How much money (food and staff time) did they waste trying to make this sandwich correctly? We’re not even factoring in my time wasted and the fact that this is the most expensive McDonald’s around here. So I haven’t said much about the iPhone since it was announce but what’s to say it looks awesome!!! It’s a widescreen video iPod with an internet browser, e-mail and it makes phone calls. The downside (IMHO) is it’s only on Cingular and I don’t think the network the iPhone is using is as fast as the EVDO speed networks. The negative I’ve seen some reviewers mention is that it only accepts music from the iTunes music store. Which isn’t true, it only accepts protected music from the iTunes music store. And it’s important to remember all other players don’t allow music from the iTunes music store, I see that as a problem. You can buy from some (smaller) music sites and put your CDs on it. FYI, the iTunes music store sells 58 songs a second (5 million a day) that makes them the fourth largest retailer of music (Wal-Mart, Best Buy and Target are above them) then just pulled ahead of Amazon. The iTunes and iPod experience makes it so pleasant to use I don’t think most people care if you can only use one store to buy (protected) music from…On a side note there are rumors that Apple is making a huge advertising announcement during the SuperBowl. The rumor is that they are going to start carrying the Beatles CDs, I just don’t see that is a major announcement, but we’ll see. It’s interesting since Apple Records (the Beatle’s label) has sued Apple more than a few times for infringing on their trademark but I just don’t see it as that huge of a deal. I see them maybe running some new AppleTV ads and maybe some iPhone ads or maybe a new widescreen iPod ad, who knows, the SuperBowl is where they started their ad blitz for the Macintosh in 1984. I’m not sure if this was a recent episode but I just saw this Wired post with screen captures and thought it was pretty funny! The TV industry needs to catch up with reality and the Internet (the ‘net is real). They’ve tried a few things like elling shows on iTunes (for $1.99 an episode!) and other sites and free downloads at their websites (really it’s sitting at your computer and watching). 15,000 people are grabbing last nights “Desperate Housewives”. And let’s be clear that’s this particular copy, there are probably dozen’s of others (some ultra high-def and some iPod versions). 5,000 are grabbing “Studio 60 on the Sunset Strip” which for some reason showed up around dinnertime instead of after the 10 PM (EST) showing. This isn’t counting the people who are going on and off line (“leechers” who take and disconnect without “seeding”). I’m not going to get into a technical discussion on this, but it’s not that hard to set up something to grab your shows automatically every night (and it’s getting easier every day). If they supplied these shows with ads they could control what the people are seeing, many people will fast forward but at least the ads are in it. Currently people are using BitTorrent technology and supplying the bandwidth for them. Heck, if the cable companies would provide a seed, it wouldn’t even use up much internet bandwidth (which would be a complaint they’d make), they could get a cut of the money or insert in their own ads! I’d rather pay for a higher quality version directly from the studio networks than have to download it illegally. Think about it, what people pay for cable, for channels. I personally would pay (for no ads of course) $15 a year directly to the SciFi channel for shows (I’d probably do the same for USA). That’s got to be way more than the cable company is giving them for me. Maybe a sliding scale makes more sense $5 for one show (for a season) $10 for 3? But let’s pretend they give it to me for free with ads. They make a dozen different versions of the show laced with ads. One for sports fans, one for geeks, one for teenagers, etc. I might actually watch the ads! Imagine that, ads targeted for me! Do you think they could charge more for that? 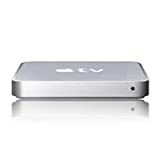 A box like the TiVo should just be pulling these down and storing them and pushing them down to whatever device you want to watch them on. When this many people are stealing shows that are on broadcast network television there is something wrong with the way the system is set up. They (the networks) are totally missing the ball on this. The new iPods have brighter screens and up to 80 GB hard drives (with a 60% brighter screen). It’s also set to play more games these days too (I’d like a nice Scrabble). The new redesigned Nano now goes up to 8 GB!!! I think the nano looks more like the old minis but smaller. So we’re waiting in line for security and the person watching the x-ray machine has called up two other people. I’m talking to the other people in line and our general consensus was if you need that many opinions then pull it. Of course it was my tray that they were inspecting. I’m still glad they checked, if there is confusion clear it up and make me and the others feel safe. It turns out it was my neck pillow, now I’ve never had one before but it’s a lot of air time I’m doing on this trip so I decided to get one. I got the one with the foam balls inside but Target had one clearance that had a little vibrating massager in it. It did actually cross my mind that it might cause a problem but I forgot. Why the problem? It’s a pillow with a button and some wires that run to a battery that them run to a motor. I can totally see why they stopped me for it. The odd part is in my carry on I have all this electronics stuff: digital camera, video camera, spare batteries, cables, chargers, power cords (w/extensions), iPod and all sorts of wires and wireless gizmos for the trip. It’s a really nice bag but I wish it had room to fit my new SLR digital camera (it’s too fat for the bad). They checked every thing I had in that tray (but not my other trays). So at the next security point I’ll put the pillow in it’s own little tray so thaty don’t have to spend time inspecting my cell phone, camera (w/charger and stuff) and my bad with water, books, bananas and whatever else I travel with. He didn’t say that was the rule but it was implied in our conversation. http://GarySaid.com/tags/ipod/ generated Friday, April 19th 2019 at 3:01:59 pm EDT (in 239 queries in 0.936 seconds).